Mariell's classic silver bridal or bridesmaid necklace and earrings set has vintage cubic zirconia pave tops with marquis-cut gems and soft cream pearl drops. 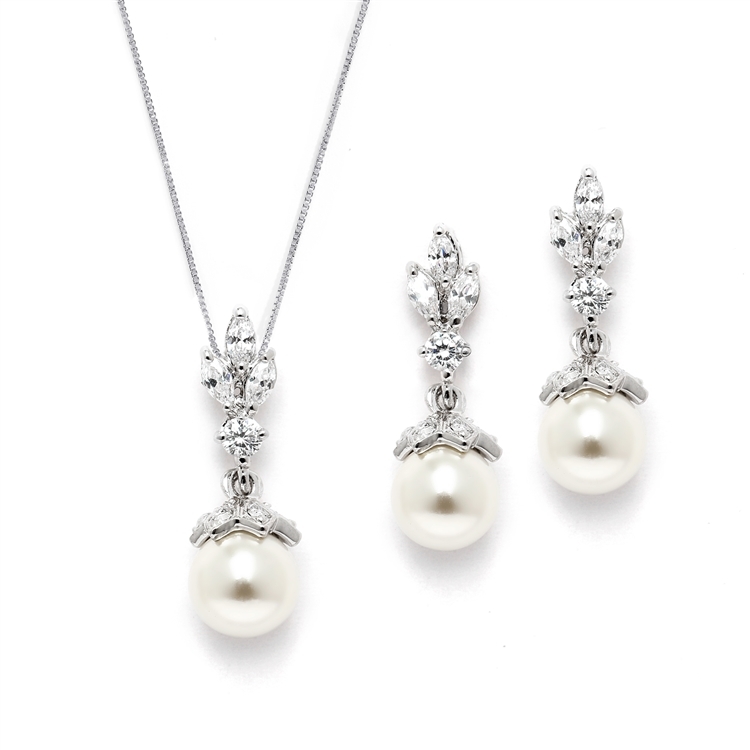 This Genuine Platinum plated bridal jewelry set has an adjustable 16" to 18" necklace with a matching 8mm pearl drop. The dainty earrings feature 8mm pearls and are 7/8" h. This set will add a touch of class to any wedding at a fabulous price! Lifetime Guarantee. 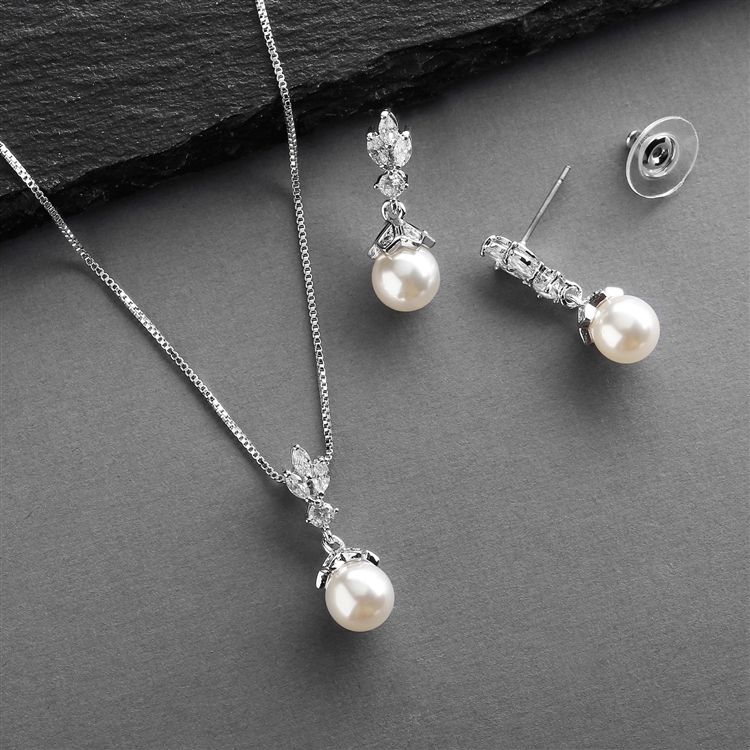 We promise you'll love this top selling pearl and CZ necklace set or your money-back. Treat yourself or someone you love to spectacular elegance.